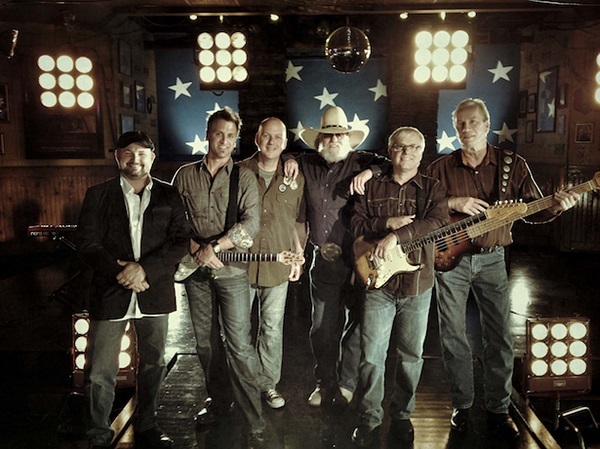 If you are a true country fan, then you know The Charlie Daniels Band and their arguably most popular song, “The Devil Went Down To Georgia.” I also consider, “The South’s Gonna Do It Again,” and “Boogie Woogie Fiddle Country Blues,” to be staples for the true Charlie Daniels Band connoisseur along with my personal favorite, “The Legend Of Wooley Swamp.” Recently inducted into the Country Music Hall Of Fame, Charlie Daniels also turns 80 next week. With a career spanning literally decades, did I mention that he still does at least 100 shows a year? We got the chance to talk with Charlie Daniels this morning and try to find out where he gets all that energy from. With hits like, “Heard It In A Love Song,” “Can’t You See” and “Fire On The Mountain,” The Marshall Tucker Band has been a staple in any Southern Rock music collection since the early 70s. With a fanbase that has always supported at least 100 live shows a year across their 40+ year span as a group, there is no wonder that they have sold over 15 million records to date. I got a chance to chat with founding member and lead singer, Doug Gray, about what is next for the Marshall Tucker Band.